If you have not taken your machine out of the box or have been totally perplexed by it, this is the perfect class for you. Let Mary Crocker show you how to serge with her helpful tips and techniques. In this workshop you will learn how to thread your 4 thread serger, how to serge rolled hems, adjust tension, turn corners and more! Belinda Jones will review the basic stitches such as French knots, lazy daisy and the fly stitch. She will teach you how to stitch the feather stitch and make bullion roses to create a lovely stitched initial on a tea towel. This class will focus on EMBROIDERY only. A great class to see if quilt making is for you! Please join us for our adult version of "show and tell"! It's a fun and very informative session where friends gather and show off their latest projects. Please call in advance so that we may prepare enough seating. We wish you a safe and HAPPY FOURTH OF JULY! Make your own fabric markers to help keep your fabrics organized and a cute bag to store them in. The zippered bag is fully lined and uses vinyl for the front so you can see your markers inside. It is all done 'in the hoop"! The digital file includes the letters A-Z and numbers 0-9 that are all stitched together in one file. It also includes a 5x7 horizontal bag file and a 6x10 vertical bag file. Join Mary Crocker every 2nd Saturday for tips and ideas on machine embroidery. Anyone may attend this class regardless of the type of embroidery machine you own. Most classes are lecture presentations. The class will learn Madeira Hem technique. From the Madeira Hem technique you will learn to make a bonnet. This hem technique can be used on jackets, hemlines, sleeves, etc. Minimum of 5 students required to hold class. Continuation of the series presented by Maureen Naquin. This class is for owners of B790 & B880 ONLY. You will learn how to do Directional Stitching using your BSR (Bernina Stitch Regulator) and stitch designer. Learn the basic operation of your machine. This class if free to customers who purchased their machine at MY Sewing Shoppe. If you purchased your machine elsewhere a fee of $25 per class is required. This is a continuation of the ongoing class presented by Maureen Naquin for new machine owners. Class topic will be decorative stitching, intro to combi mode (memory), pattern begin/end/extend/# of times. 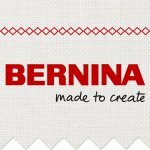 Maureen's topic of the day will be combi mode, twin needle set up & stitching, and using the BSR (Bernina Stitch Regulator). Karen Durst has the perfect mesh tote bag for you that can be used on the beach or for carrying all of your sewing supplies for classes. You will learn to make prairie points the quick and easy way and sew them onto the vinyl mesh without any fear. Karen will also cover tips on making french seams the easy way too! Trina Landry will take the fear out of using your serger while you learn to make an easy knit skirt. No, you are not required to have a beautiful singing voice to take this class but it will be FUN! Cherry is always looking for great class ideas and she definitely outdid herself with this one. Join Cherry Guidry and make your very own original umbrella! Class fee DOES NOT include supplies needed for the class. The 48" umbrella frame and fabric are sold separately. A supply list will be available for your shopping convenience at MY Sewing Shoppe. You will receive a 10% discount on all class supplies. Please stop by the store to purchase your kit & supplies before the day of class. If you are working on a project and would like to have fun and a little company doing it, stop by and join us for coffee and conversation. Assistance will be available if needed but please be aware this in not a one on one instruction or group class. This sewing camp is for boys and girls ages 7-14 years of age with little or previous sewing experience who are wanting to take their sewing interest to the next level. This summer sewing camp is for the beginner sewer ages 7-14 years of age. Campers will be introduced to the foundations of sewing and will complete a different project each day. To begin, campers will be instructed on using their new sewing machine, learn machine safety, cutting a project and following a guide sheet. Each project will focus on specific sewing skills. At the end of the camp each student will take home their new machine! Are you forever misplacing your scissors? Join Bonnie Welch and make your own Scissor Station to hang near you sewing machine or craft station and take the worry out of losing your scissors again.The Scissor Station is a convenient way to store your scissors and sewing accessories. It is customized to fit your needs by selecting the number of pockets, adding a pin cushion or leaving the top open as a pocket just to name a few.